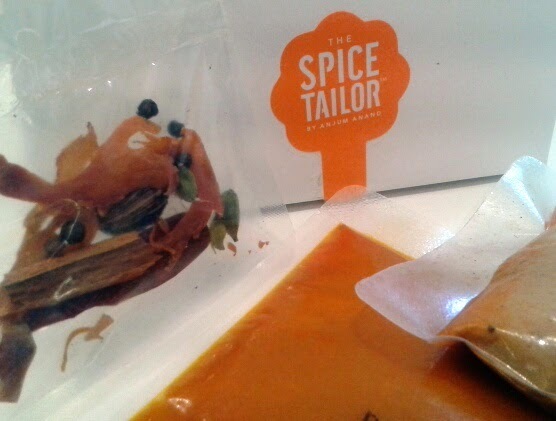 The Spice Tailor's sauce range come with a sachet of dried spices, a marinade and a sauce. Anjum Anand is a well known Indian chef - you may have seen her on BBC 2's Indian Food Made Easy based on her cookbook - and has now launched a range of sauces which you can cook at home for easy results and restaurant-quality dishes. "Sauces so tasty and authentic, you'll think you've died and gone to India!" They sent me their Korma Curry to try, in return for leaving some feedback on their website, which I have done. 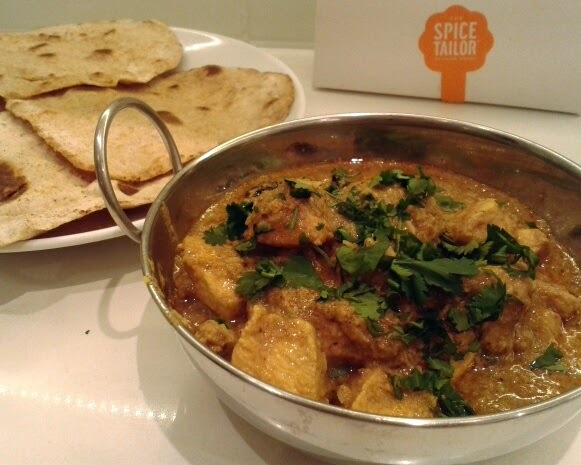 I'm not usually a huge fan of Korma, as I like my curry HOT, but recently the kids have given into their fear of spice, and have actually started eating Korma. I will always remember the day I got in from work and they came running to tell me in delight that they were eating chicken curry! Finally! Himself had made some with a jar of Sharwoods and some coconut milk, and they actually loved it. So I thought I'd try this on them. I marinaded the chicken for about an hour, cooked off the spices as instructed, and added in the marinated chicken for a few minutes, followed by the sauce for a few more, and served it up with rice and peas. I told them it's not the same as the one Daddy makes, so that they were a little hesitant, but try it they did, and they scoffed the lot. They did say it tasted different, but still good! Kids' version at it's simplest. Of course I had to spice it up for my own dinner, so I added two Bird's Eye chillies and some dessicated coconut, with fresh coriander. I even attempted homemade chapatis! 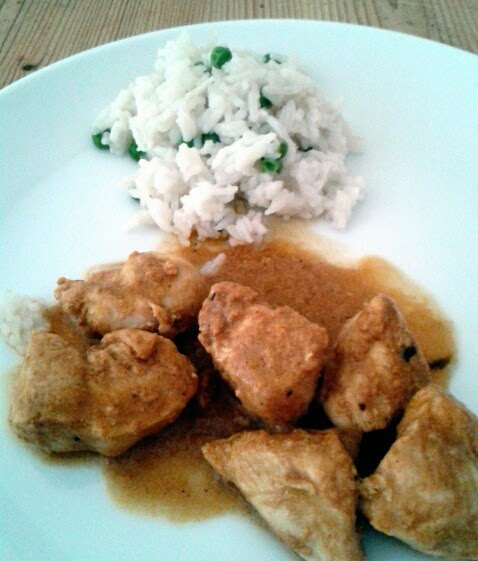 Which are surprisingly easy, and went with the Korma really well. I would certainly buy this again for the kids, and it would certainly be nice to have some of the other curry sauces in the range as a fall back for a quick curry when grinding spices, marinading meat and simmering for hours just isn't feasible. Washed down with a couple of Cobra beers - the perfect Friday!